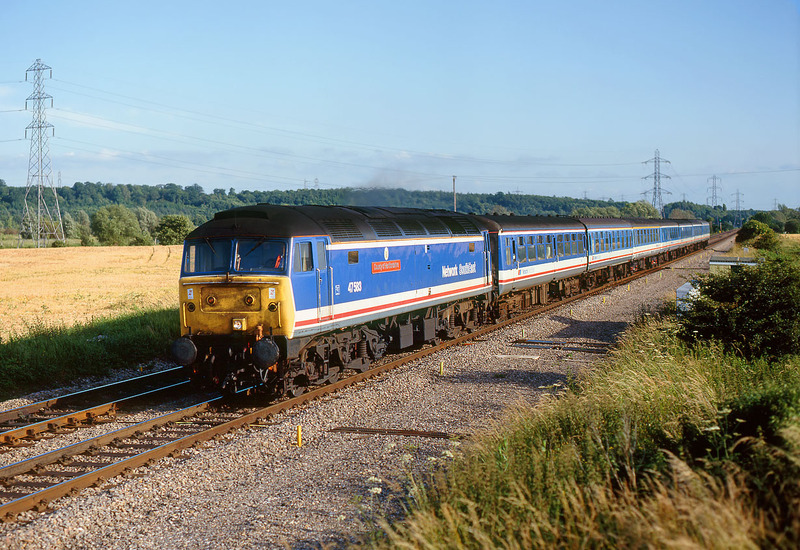 47583 County of Hertfordshire approaches Radley on 9 July 1991 with the 1F44 17:20 Paddington to Banbury Network SouthEast service. Despite reports to the contrary in the local press, these trains were generally good timekeepers, so it was a little surprising that this particular train was running half an hour late. Getting some practice in for First Great Western in a few years time?